Treberfedd Farm is an ideal base for your short break or holiday in Wales. 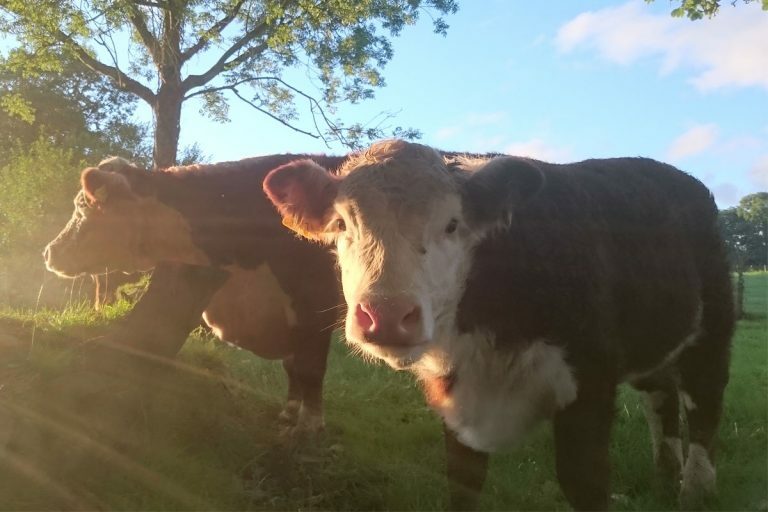 Our organic working farm is located right at the heart of Ceredigion, just 15 minutes from the Cardigan Bay coast and some of its award winning beaches, which means that you can enjoy the best of all that west Wales has to offer. 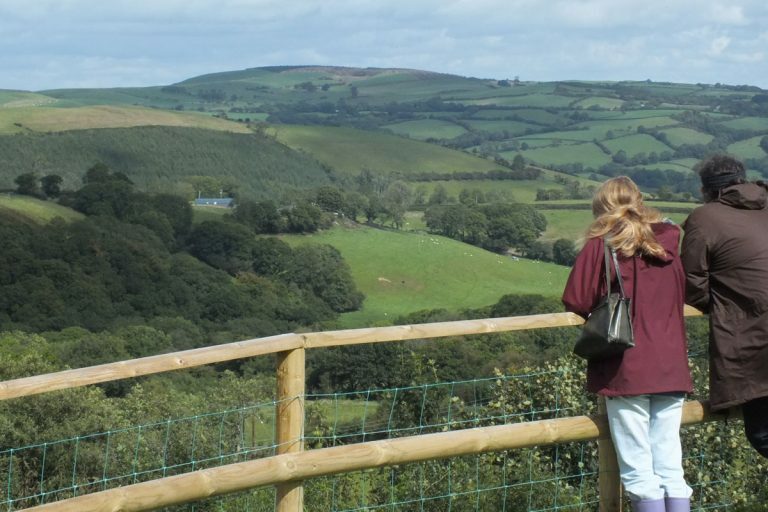 Here at Treberfedd Farm we have an endless supply of fresh air, quiet tranquility and open space, so you can truly unwind and enjoy some peace while on you are on holiday. Treberfedd Farm is based at the heart of the beautiful county of Ceredigion, in rural mid west Wales. 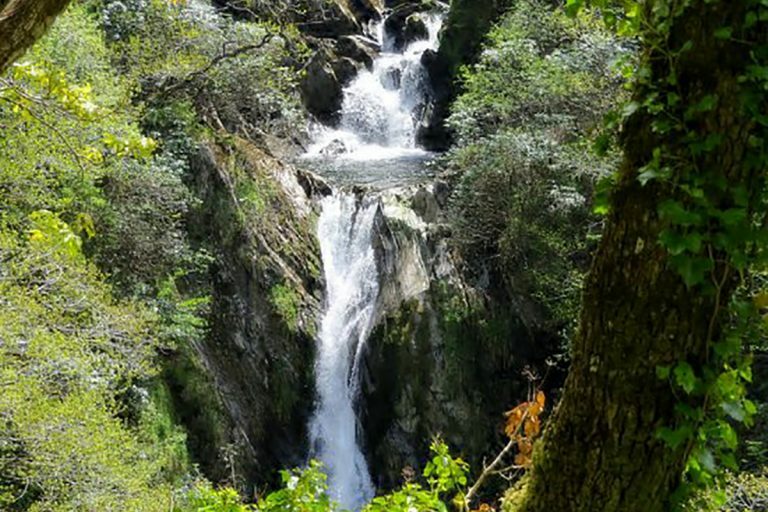 There are plenty of things to do in Ceredigion: the county is a fantastic mix of beautiful coastlines, rolling hills and wild rugged mountains – all waiting to be explored! But you don’t need to go far for an adventure as our organic farm can take a day to explore. 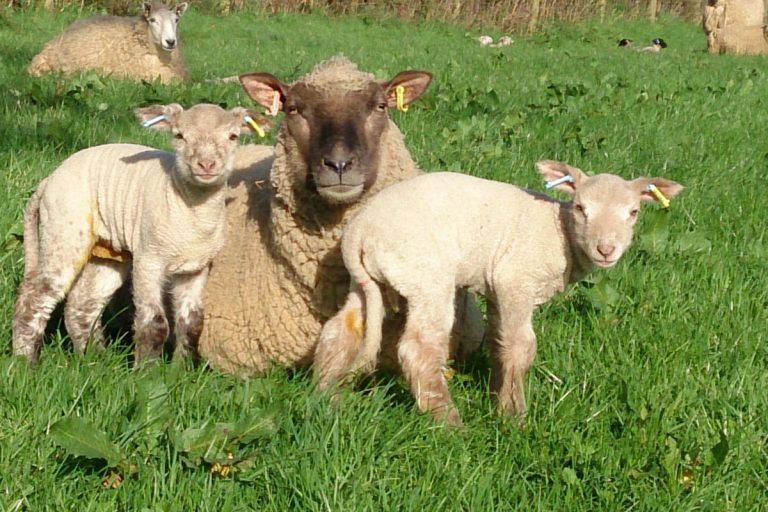 The farm trail takes you through traditional hay meadows and wild Welsh woodlands. And, if you’re feeling brave, you can splash along our unique ‘welly walk’. 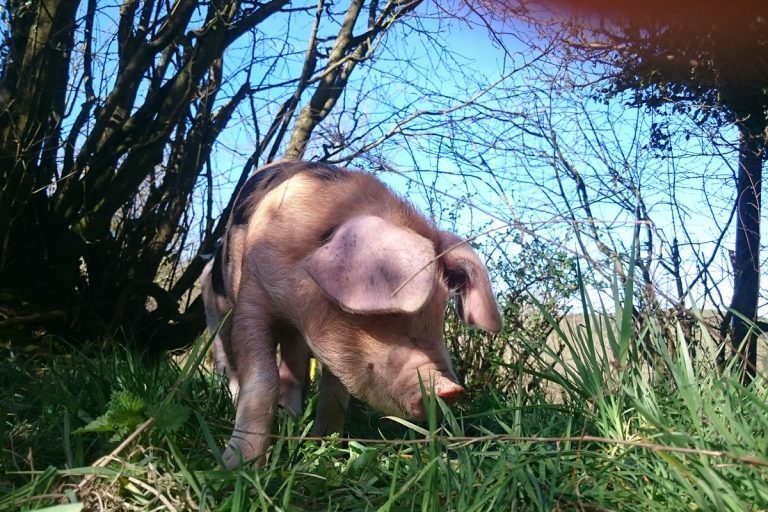 See our rare breed cows and sheep grazing in the fields and collect eggs for breakfast from the hen house. Red Kites are often seen soaring over the organic meadows and you will never tire of the views over the Aeron Valley and Cambrian Mountains. If you are staying with us during the warmer months of the year we would recommend a visit to the nearby Cae Hir Gardens and Tea Room (open Easter – October), which is only a short drive or walk from the farm (2 miles) in the nearby village of Cribyn. Some of the best local beaches are within 20 minutes of Treberfedd Farm. The stunning coastline of Cardigan Bay is perfect for walking holidays, with over miles of coast path to explore. 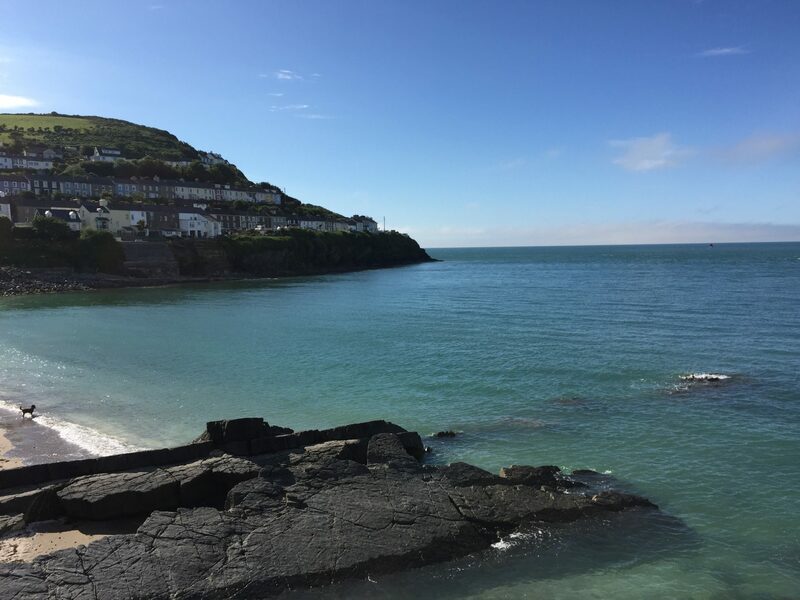 The beach at New Quay was once frequented by poet Dylan Thomas and provided the backdrop for scenes of the film ‘The Edge of Love’ starring Kiera Knightley and Sienna Miller. 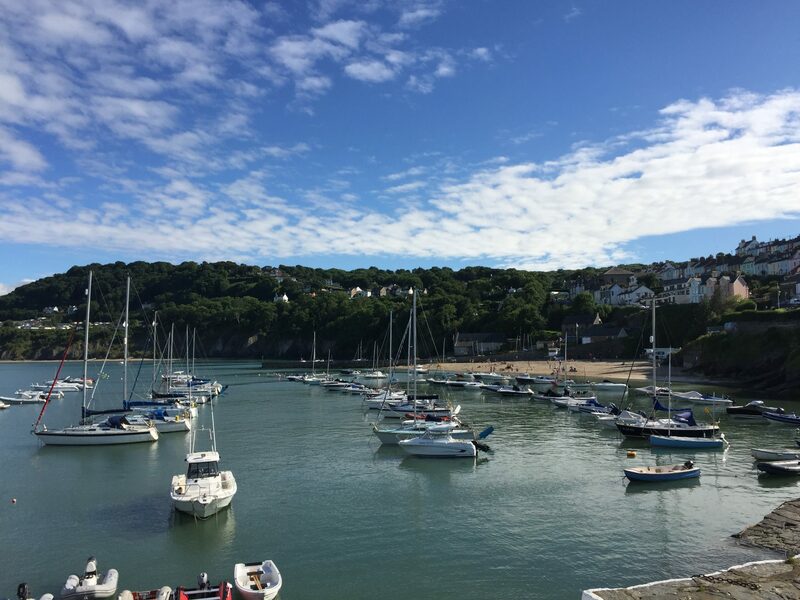 New Quay has a gorgeous sandy beach which is ideal for young children. 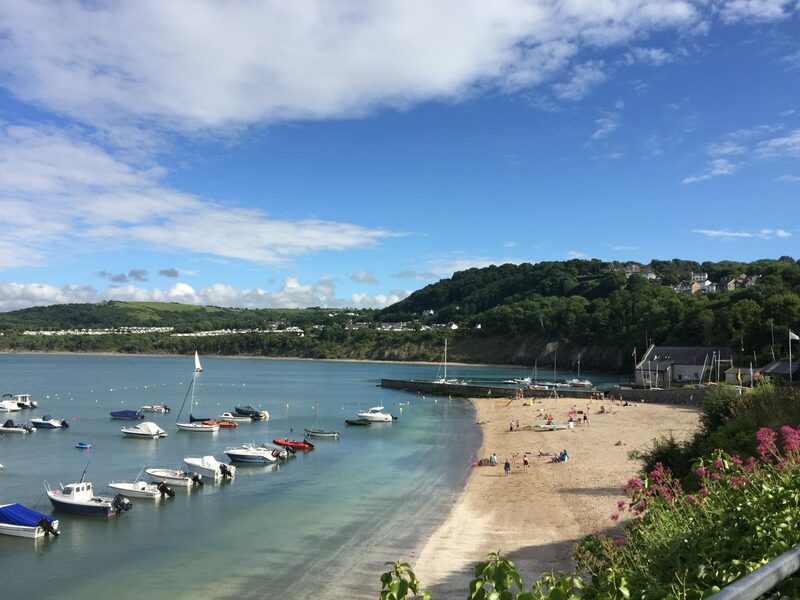 With boats in the harbour, a watersports centre and the possibility of seeing dolphins on a local boat trip, New Quay is one of Cardigan Bay’s most popular beaches. A little further down the coast is the National Trust beach of Penbryn. The beach was used for location filming for the James Bond film ‘Die Another Day’ in which Penbryn became a beach in North Korea! 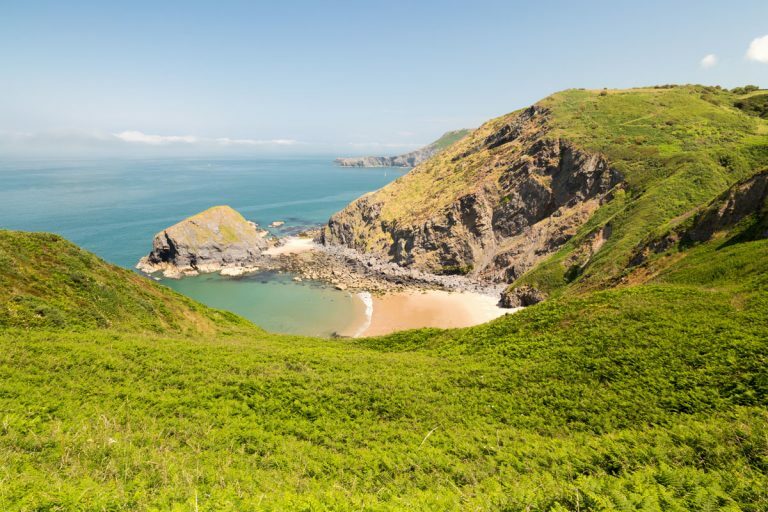 Despite this claim to fame, Penbryn remains a hidden gem, and the perfect place to take a picnic of local Welsh food and drink. Llangrannog is a traditional Welsh fishing village and it’s fabulous in winter or summer. 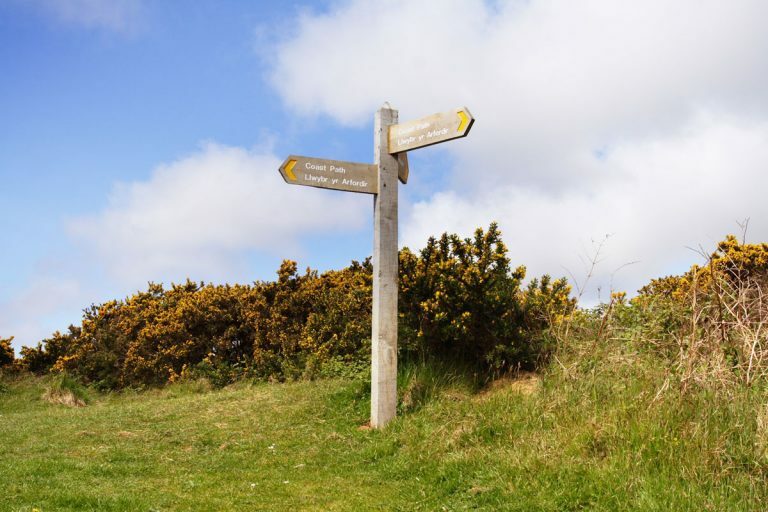 Take a rest from the Ceredigion coast path and refuel at the Ship Inn at Llangrannog or spend a day on the beach with an organic burger and homemade ice cream from the Beach Hut cafe. 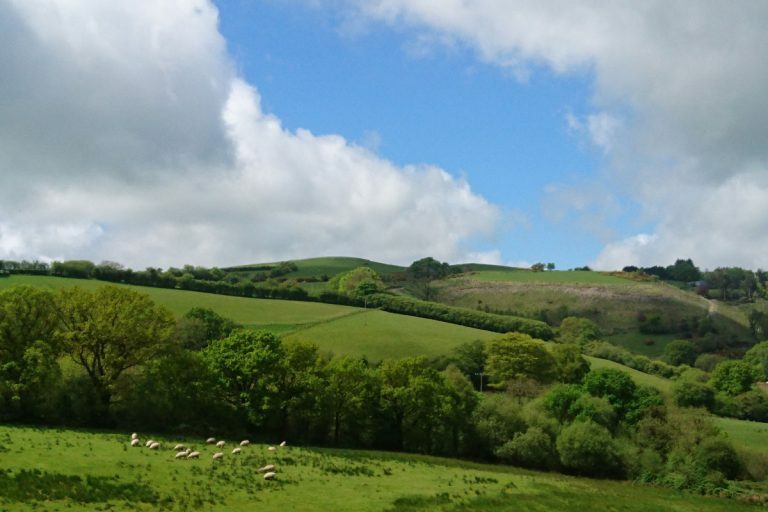 Treberfedd Farm’s holiday cottages are ideally located in the beautiful Aeron Valley, between the picturesque Georgian harbour town of Aberaeron and the historic university town of Lampeter. 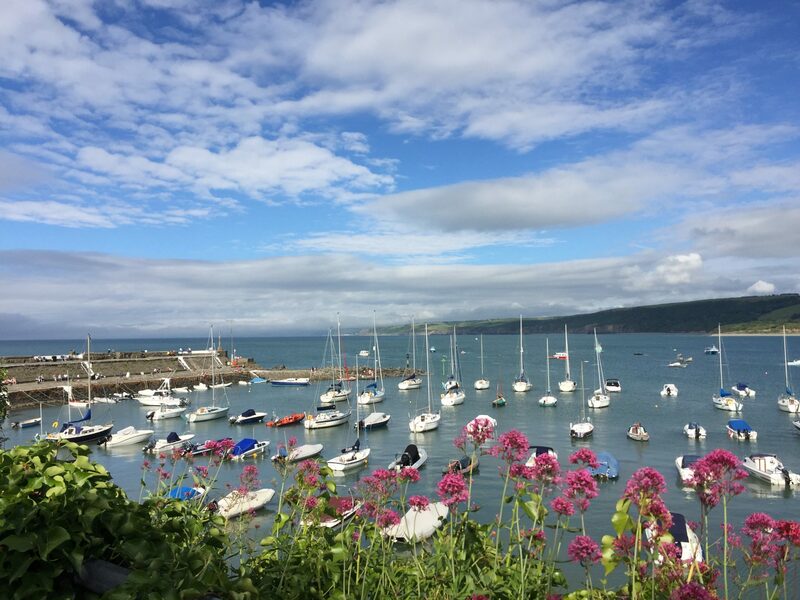 We are a short drive from the famous Cardigan Bay coast which has many fantastic beaches, coastal paths to walk, and incredible wildlife to discover (such as the bottle nosed dolphins which can be seen on locally run boat trips). 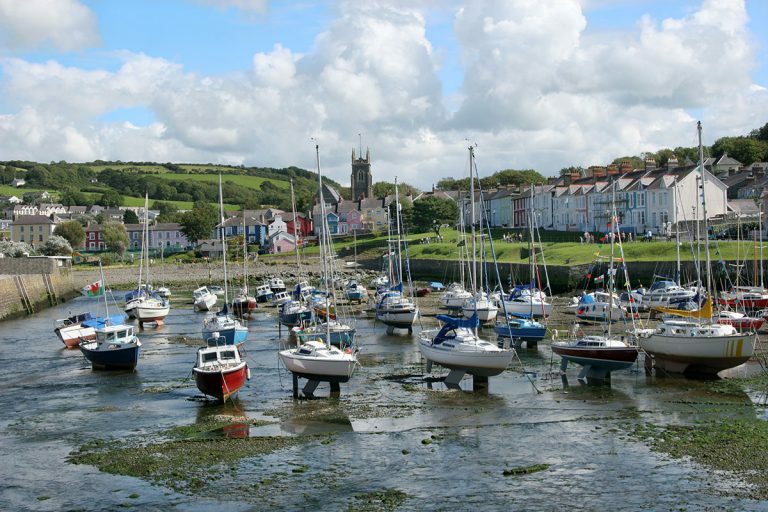 The seaside towns of New Quay and Aberaeron are worth a visit and stroll around, as are the university towns of Aberystwyth and Lampeter, and also the county town of Cardigan which lies to the south. If you would like any further information about the local area and what it has to offer we would recommend a look at the information available for tourists on the Discover Ceredigion website, or alternatively you are welcome to contact us.